Here in the Netherlands summer break is practically over everywhere. Which means my dancing lessons will be starting again this week! 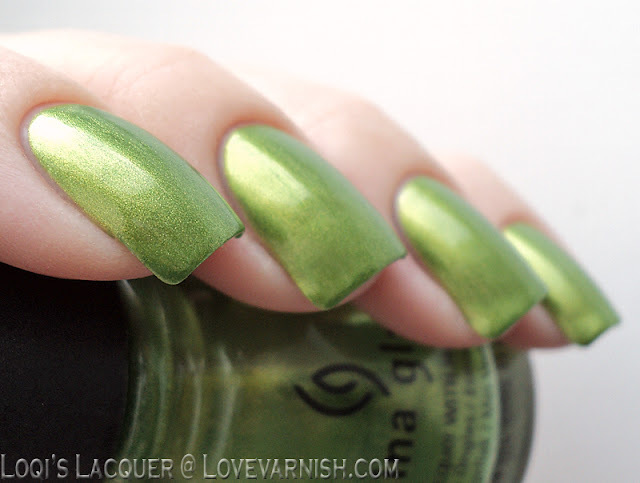 So I thought it would be funny to wear China Glaze Cha cha cha, as that is what I'll be doing tomorrow night lol. 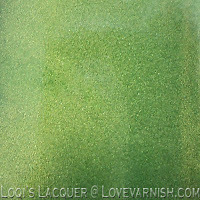 Cha cha cha is a really pretty and vibrant green shimmer. 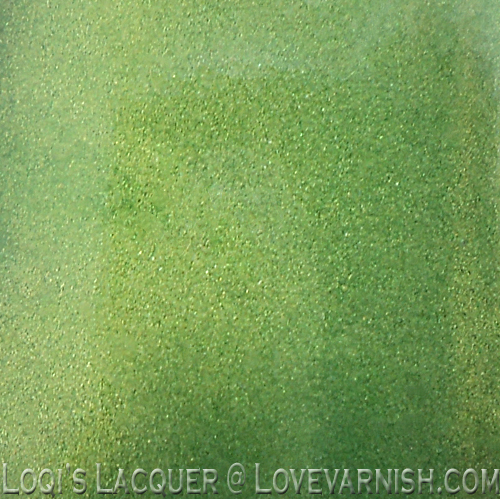 As you can see from the pictures there is so much shimmer that it almost look frosty. It's a bit thin, so it needs 3 coats to be opaque. It does show a little bit of vnl in the pictures, but this wasn't visible in real life. Pretty, bright and colourful..what's not to like? It's definitely not for me but your swatches are absolutely gorgeous, it looks like the polish is glowing! OOOh love it!! So bright and fun! I gave up to greens. I love it! Thank you! It's a really happy polish I'd say!